ONE of the world’s oldest golf clubs has completed a £1.2 million makeover. 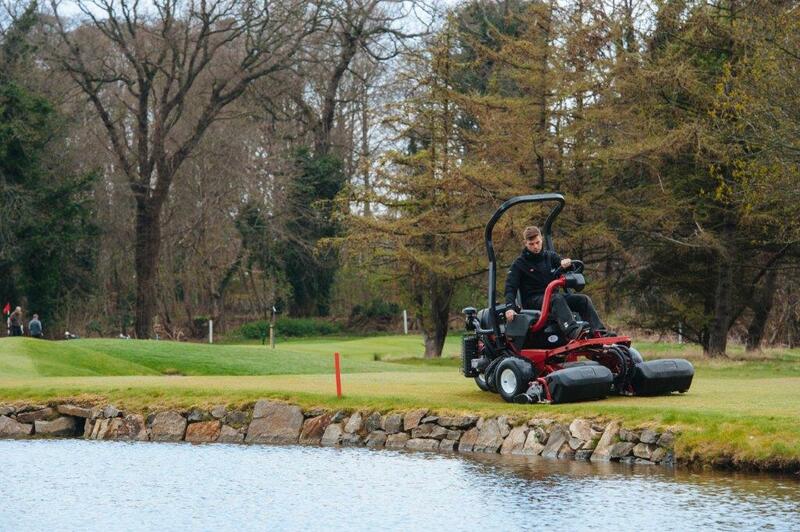 Edinburgh’s Bruntsfield Links Golfing Society has also agreed a £250,000 investment with Reesink Turfcare for a new Toro Greenkeeping fleet to present the course in tip-top condition. “This raises the bar at the club. We now have faster, more efficient and reliable machines that will free up time for many other tasks on the golf course,” said club captain David Lawson. Leading architects Mackenzie and Ebert were charged with preserving the legacy of past course work carried out by Willie Park Jnr, Dr Alister Mackenzie, James Braid and Fred Hawtree, while giving the Open qualifying venue a contemporary feel. “Despite being an Open qualifying venue since 2011, there hadn’t been any changes to the course since the early 1970s,” explained Lawson. The Society, which dates back to 1761, sanctioned eight new holes and more than 80 bunkers have been redesigned and repositioned to reflect the distances club golfers are now striking the ball. The 12th and 13th holes were combined to create a challenging dog leg par five into a prevailing wind and a new signature par three hole at the 16th over a pond has been introduced. Lawson said the investment in state of the art kit is already paying dividends. 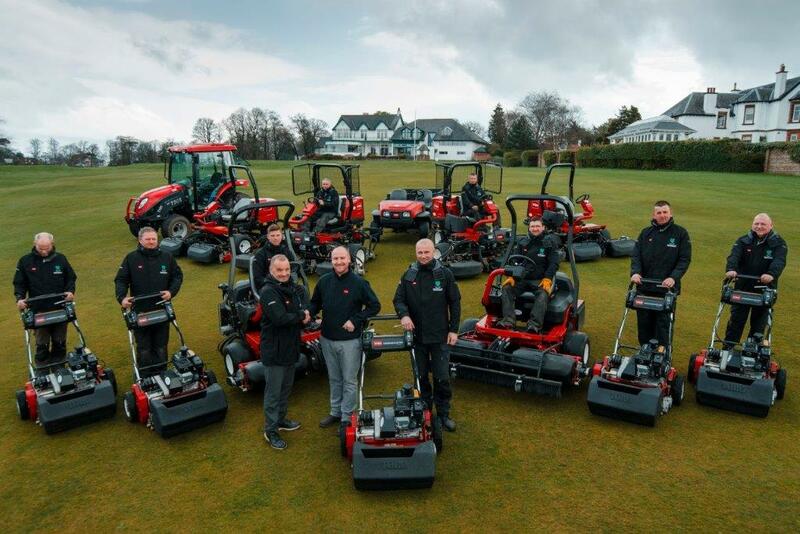 Bruntsfield Links Golfing Society CEO Dougie Cleeton seals a £250,000 Toro equipment deal with Stuart Tait of Reesink Turfcare, while course manager Neil Hogg and his team look on. “The improvements were designed to elevate Bruntsfield to be one of the top parkland courses in Scotland. “The works have only recently finished but have made such a difference and been so well received we’ve surged up the Top 100 Golf Courses list by 69 places. Completion of the new-look Par 71 course paved the way for a major investment in equipment. “Chief executive officer Dougie Cleeton had been involved in similar projects before and brought with him a wealth of experience. “Together we went through the machines in the shed and planned the new fleet. “They will bring out the best in the course for years to come”.